Undoubtedly, you have discovered that there are many options for child care in your area. We recommend that you be as thorough as possible in your research, so you can be confident that you’ve chosen the right child care option. What are the qualifications (education and experience) of the caregivers? Hopefully, the answers to those questions will help you narrow down your options. Next, you should visit the providers you are most interested in, to get a feeling for each in person. Make sure you understand the pricing, and whether you qualify for financial assistance to help pay for care. Learn more about Paying For Care. Check a program’s compliance history, address concerns about the quality of child care, or discuss any concerns about child abuse. We’re happy to speak to you about any questions you may have. Please feel free to call our Referral Department, Monday through Friday between the hours of 9 am and 5 pm, at (914) 761-3456 x140. 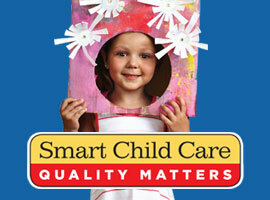 When evaluating a child care provider, there are certain quality indicators parents should consider.